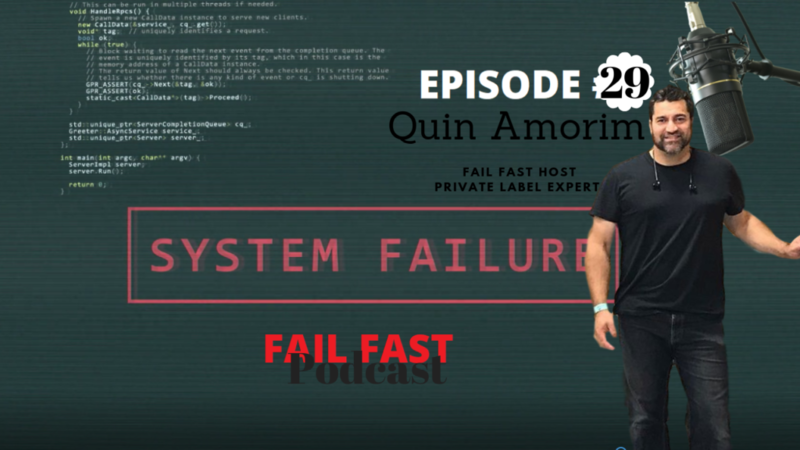 This is one of the failure stories of Quin Amorim while creating brands and private label products to sell online on Amazon Fba. Please make sure to listen to the whole episode and make sure to subscribe to the Fail Fast Podcast. Quin Amorim is the host of this podcast, a professional Amazon FBA (Fulfilled By Amazon) seller and an amazing marketer. Back in 2015 Quin created a brand of baby products and started by launching a few Baby swaddle blankets, but something was wrong. After almost a month of preparing a great launch, the product stopped selling and he couldn’t figure out why, until he decided to “kill” the brand and told his wife. Allison told him that she wouldn’t have bought them either, because the mother always needs a bigger quantity of these swaddles because the babies get them dirty very often. Quin decided to give up the brand anyway since his efforts were better of spent elsewhere and he could use the cash flow on the more successful brands. This is one of Quin Amorim’s Fail Fast Stories.